Once, in a moment of desperation, I started telling Big Boy and Top Ender a story about how they were descended from Pirates. Actually, what I said was that they are descended from several of the most powerful Pirates in history; Which means that the Bad Pirates want to get them to come over to the bad side of piracy and that since they have been born the bad pirates have tried to kidnap them to teach them the evil ways of the sea. The story kept them quiet for absolutely ages, as they listened to the tale unfold and they heard about the various ways in which the Bad Pirates tried to kidnap them, or the Good Pirates rescued them or the silly scenarios that I came up with (Pirates for example love Tomato Soup). Little did I know that this simple story to keep the fractious children calm and quiet was going to become a very popular story in our house. The problem when something becomes popular is that other things have to revolve around it. So when the children are digging in the sand at the beach, they aren't trying to go to China as I used to; No, they are trying to find Pirate Treasure. When they make maps, they aren't mapping the best route to the park or local shop as my sister and I did; No, they are making Pirate Treasure Maps. Apparently, it's in their blood. So, we love Pirates and Yellow Moon sent us some of their favourite Pirate crafts items to have some fun with. The first thing we saw were Make your own Pirate Masks. We loved them and Tops, BB and I all sat together making them one afternoon and spent the rest of the day wearing them. Daddy got a bit of a fright when he walked in the house that evening! The masks were really simple to put together, with BB and Tops making their own (in the middle, Tops was responsible for the purple one) and helping me to make the ones for Daddy and I. We did have to add a little glue to a few places the next day as parts were peeling off in places, but they were very easy to fix and it was more preventive than anything else. Tops and BB continued their crafting by colouring in some treasure chests using the Giotto Turbo Colour pens. My Mum said that they kept quiet for ages whilst colouring the Treasure Chests in (she was babysitting the following evening) and I loved what they did so I had to make one myself. I got to use the Giotto Metallic Decor Pens though as the children hadn't noticed these when they got crafty! As you can see we also made some Treasure maps (my chest is sitting on them), but that's another blog post as we took video on our expeditions which will crack you up! The last two crafts that we got were Pirate Finger Puppets and some Pirate Foam Stickers and Coloured Card. We made a back drop out of the stickers and card for our finger puppets and made a little puppet show. I was going to put up the video that we made, but it hasn't come out very well. Hopefully we can perform it again when Daddy is around and he can film it for us rather than us hoping Big Boy can manage! The Pirate crafts went down a storm in our house, and we have some more fun pirate ideas planned for later this week! We were sent crafts items by Yellow Moon. We had dinner with Daddy's Mum and her friend today, it was actually really lovely and it wasn't just me saying that the food was lovely as both our guests complimented me on the meal and they also had extra. Anyway, there are no leftovers this week (well apart from veg which I'll eat!) so it's a shame lol as we love leftover chicken! It's a Bank Holiday Monday so this means that Daddy is at home with us today and we get to all eat together. I'm thinking that we should all have something really fun, but we aren't sure what we are doing or if we are going out or staying at home and so we're sticking with Soup and Rolls for lunch unless we are out, which means we'll eat what we can get to! We love Ham Sandwiches and we haven't had any just ordinary plain Ham Sandwiches for a while, normally they have cheese or cucumber or tomato etc with it. I'm also going to make the rest of the loaf into Sandwiches at the same time and then I will wrap and freeze them. I find that this way if I'm running late one morning I can grab a frozen sandwich from the freezer for the children's lunch and it will be defrosted by lunchtime! Wednesday - Eating Out. Don't know where, or what! We are out with my Mum today, we're still not sure where we are going or what we are going to do but we know that we want to spend some time together before Tops goes back to School and BB starts school! Big Boy asked if we could have Sausage Sandwiches for lunch this week as it's one of his favourite kinds of sandwich. We figured that the best day would be Thursday because it gives us something to look forward to lol. I'm not sure what it's going to be this week, but you know that it's going to be fun as it's the last Friday before School starts! I hope that BB will enjoy these special lunches when he gets to School as much as Top Ender does. So lunches for this week are pretty boring. Still, they do the job and everyone gets fed! We eat Baked Beans in our house (despite me not liking them all that much) and tonight for dinner we have a special treat with a new Heinz product. I'm actually quite excited, but I can't tell you what we are having other than the baked beans as the rest of the meal is being delivered by a supermarket this morning. The children are very much looking forward to their Spaghetti though and I don't think they care what it comes with! I'm going to make a standard Roast Chicken with Onion, Garlic, Lemon, Rosemary and my secret ingredient (ha!) for us to eat along with some Roasted Potatoes, Boiled New Potatoes, Petit Pois, Carrots, Sweetcorn, Sausages wrapped in Bacon, Gluten Free Stuffing, Home Made Gravy (in a Gravy Boat!) and I'll even make some bread rolls, both Gluten free and non gluten free. I have a Lazy Susan so I will serve everything on this (well the Gravy will be in Gravy Boats and the Chicken on a Platter) and I think with a nice pudding this should do everyone quite nicely. The Lovely people at Domino's have shouted Big Boy, Top Ender, Daddy and I a take away pizza. As Daddy can't eat Pizza he is going to eat the boneless Ribs as he loves the ribs! We have a lush piñata and some Mexican Bunting to put up, so expect a lot of whooping from our house and we'll watch The Perfect Game together as it's the only Mexican film I can think of that's suitable for my Children! We are still slowly encouraging the children to eat spicier food so that we can all have a proper family curry. The last few times that we've eaten spicier food I've served it with Sausages as the meat part of the dish as the children love Sausages. I'm going to make a tandoori type curry, or at least my version of one, as that's what I prefer! Daddy might be late home tonight, so I'll make this is the slow cooker as that way it will keep warm until he is home. 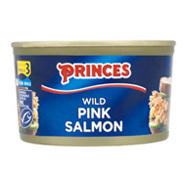 I have some smoked Salmon in the freezer that needs using up, so I'm going to be indulgent and have it on my Jacket Potato along with some Prawns and Avocado. I have a feeling that the children however will opt for beans and cheese as normal. They have no taste! I'm still working on how to make lovely tasty Gluten Free Dumplings and I thought today would be a good day to have another go at them. We didn't get to eat this the other week as Daddy was late home and ate whilst he was out, so it's long anticipated! Again Daddy might be home late tonight so I'll keep his portion warm for him for when he does get home. Daddy and I both love Broccoli and when the children con me into buying them those instant packs of pasta they always choose the one with Broccoli bits in them despite not eating it if I serve it with dinner. I figure some smaller chopped pieces of Broccoli in a Cheesy Chicken Pasta Bake will go down a treat. With me at least. So that's dinner this week. Keep your fingers crossed that Sunday goes well, leave me some suggestions of conversation starters and ways to get rid of my Mother in law if she outstays her welcome (I mean from the house, not the planet) and think nice thoughts for the other meals if you are that way inclined! I've gone crazy for Smoothies it seems, drinking them for Breakfast, coming up with my own recipes and trying to encourage the children to drink them too as I really want to be able to put Smoothies in their lunch box to have as an alternative to Milk, Squash or Fruit Juice. Happy Monkey Smoothies asked if I'd like Tops and BB would like to try their Smoothies and so after saying yes, giving my address and waiting a few days two packets arrived in the post. My Two Happy monkeys each chose a different flavour to try, Big Boy went for Strawberry and Banana and Top Ender went for Orange and Mango. The lunch I had given them this particular day were Mini Sausage Rolls and these Fruit Smoothies were a perfect addition to them. Big Boy and Tops drank the Smoothies down and commented "Delicious" and "Tasty" before asking if they could have any more. The slurps that I had before passing them to the children (Quality inspection!) also allowed me to confirm that they are indeed tasty and delicious. The great thing about the Smoothies is that they really are smooth, unlike the ones that I make. There are no lumps in them so it's just 180ml of juice and what would be the equivalent of one potion of fruit. As they are made from fruit which has natural sugars, the makers haven't added extra sugar or sweeteners which means that this is a good drink for BB to have if his sugars are low or if he is having a generally low sugar lunch. It's a treat, but in comparison to what some people think of as treats a fairly healthy one. The drinks do need to be kept in the fridge, but they keep for up to 12 hours out of the fridge so they are perfect for throwing into a lunch box when the children go back to School! We were sent two packs of the Happy Monkey Smoothies to review. My Monkeys rather enjoyed them. Earlier this week, Big Boy, Top Ender and I headed off to London to meet up with some other Bloggers and the team at Smart Shoppers at a farm in Hackney. I didn't get a chance to look round the farm, the children have assured me that there were all the usual animals you'd expect apart from Cows, but we see enough cows here in Milton Keynes so they didn't mind! We took the train down, which was great fun as the children love going on the train and they got plenty of admiring looks carrying around the Smart Shoppers Heart Pinboard! It was also the first time that people who know BB (outside of family) had seen him since he had been diagnosed as being a Diabetic. The lovely Jen could see straight away that he has lost weight, (which was one of the hardest things for us to notice as we are with him everyday) but like she and Cass said they can see that we are adapting and it hasn't changed our dynamic as a family. That was good to hear, it made me relax and it became just an ordinary day out for an ordinary family. It seems so silly now but I was panicking a bit before we went, because if anything went wrong it was just me that was on hand to deal with it. As I said though it was just a normal day, nothing went wrong. Jen's boys treated BB just like they always do, BB ran around with them and Tops and Cass's children and there wasn't anything that would have marked BB as being anything other than a four year old boy who likes playing with his DS, making a mess and eating Pizza. BB was just a normal boy. BB is just a normal boy. It's put me in a much better place (mentally) about BB going to School because I realised that I'm the one that's thinking of BB as being something other than a normal boy. So he has me and his Dad for a Pancreas instead of an organ inside of his body it hasn't stopped him being anything other than my son and I needed my friends to remind me of that. Our day out and our travel was paid for by Smart Shoppers and they sent us a few bits before we went down too. Unlike my two best friends (Vic and Emma) I'm not much of a girly girl and the thought of going shopping for pretty things like shoes fills me with dread. I'm more of a practical girl you know? If I'm not in my gym clothes and gym trainers then I'm in jeans and trainers or possibly flip flops (even in the rain) and although I did once own what must have been the largest shoe collection in the world for someone who never goes shoe shopping I don't have any "posh" shoes that I can wear when I'm trying to look a bit neater than normal. This isn't going to change any time soon as apart from Shoe Shopping for the Children I avoid shoe shops and do it all online when I have to (which is never) so I was destined to live in trainers I buy from Supermarkets. Until Hotter Shoes asked if I'd like a pair of Shake shoes that is. I said yes and I had hoped that they would be with me in time for our trip to Paris, as I know from the Hotter Sheepskin Charisma boots I got at the start of the year that they were going to be comfortable, but unfortunately they didn't come in time due to the colour I chose being so popular they had sold out! A different colour was chosen (Cherryberry) and they arrived soon after. I put them on straight away and was pleased to note that they were indeed very comfortable and I'm not ashamed to say that they have hardly been off my feet since they arrived. I was sent a pair of Shake shoes to review. They are shoes, they fit my feet and so far they don't smell so I say they are good shoes. I was taught how to make a Simple Sugar Scrub, which is so simple to make you could make it at home very easily and as it is so easy and is also really great to use in the shower I'm going to impart my new found wisdom to you, so that you can make it at home too! Take the jar for your scrub to live in and take the lid off. Add one spoon of Demerara and one spoonful of Granulated Sugar. Add a glug of Olive Oil and a few drops of essential oil, we used a couple of drops of ginger and a few more of Lime but you can use others that compliment each other or that are your favourites. I'm already thinking of making a Chocolate and Vanilla one and possibly a Honey and Almond one but I'm not sure! If you want a harder scrub use more Demerara in your mixture and if you want it to be more gentle than use more Granulated Sugar. You know your own skin, but this 50/50 mixture is a good balance if you are unsure of where to start. Remember when you are using this in the shower not to get water into the jar because the water will make the mixture go mouldy and you will want to keep it to use a few times a week, don't use it on your face (Sugar scrubs are always sold with a warning not to use on your face although I'm not sure why!) and most importantly make sure you rinse it off well or you might find yourself licking at your arm if you catch a whiff! I'm going to be making this and a few other home made "spa" treatments for Christmas gifts for Tops and BB's teachers and Class assistants this year (Sorry for spoiling the surprise if you are reading this Miss Charles*!) so I'll blog the results and the methods too over the next few weeks! *Miss Charles isn't her real name, but she'll understand! We love Sausages here at A Mothers Ramblings and our favourite are currently the Gluten Free Sausages that Marks & Spencer sell. This week I had planned to make Spicy Sausage Rice for lunch, but we ended up having it for dinner and I thought it would be a good meal to share here as it's quite frugal too. Cook 350 grams of rice. I prefer the absorption method, but do what you prefer! Whilst it is cooking cut the eight Sausages into three or four pieces depending on how big you want them to be. Gently fry them so that they are cooked through. When the Rice and Sausages are cooked mix the sausages into the rice, along with a can of chopped tomatoes, and a couple of handfuls of frozen peas. Add a teaspoon of Curry powder (Or Chilli powder) and gently heat for five minutes or so until the peas are cooked and everything is heated through. It was quite spicy, but the children didn't notice and it was very filling, so much so that I was convinced that I had eaten too much and had to work extra hard at the gym. My portion, was roughly 500 calories (I didn't weigh it so can't be exact!) which I don't think is too bad for an evening meal. Last Sunday I walked into my local Clarks store to see that it was heaving with parents buying School Shoes. If this had been a normal shoe shop visit I would have turned back around and walked out, but thanks to the lovely foresight of the PR team at Clarks I had an appointment, so I walked straight up to the lady with a clipboard directing other customers in what to do (Get a ticket, wait until your number is called) and let her know I had an appointment. Within seconds we were ushered to a free seat and the children's feet were being measured much to the annoyance of several of the other patrons who had probably been sitting there for a good half hour. Some of them looked at us and you could see they were trying to work out if we were famous but mostly it was the dirty looks we were given that made us giggle! Tops and BB both had their feet measured with the normal attention to detail that Clarks are known for and then the assistant asked both the children what sort of shoes they would like and double checked with us what shoes we wanted to buy them. The assistant was really lovely and brought down several styles of shoes for both Big Boy and Top Ender and in a couple of different sizes too as both Big Boy and Top Ender have two different sized feet and so she wanted to make sure that they fitted perfectly. As you can see both pairs of shoes are lovely looking, with both children getting what they wanted and of course they fit perfectly. The big thing I came away with though was that you can book appointments at Clarks and then you don't have to queue! If you want to book an appointment at Clarks all you need to do is register on the site and you can book an appointment and get the movie star treatment like we did. We were sent a voucher so we could review the Clarks Shoe Fitting Service. Have you added A Mother's Ramblings to your RSS Reader? Make sure you never miss a brilliant lunch or a fantastic family moment. A few words today. These headphones are identical in every way. Same Barcode, same colour, same spec, same everything. So why does one set cost 1p more?! I'm a little bit in denial that Big Boy is starting School in just a few days. I don't remember being like this with Tops, probably because I knew that she was going to love School and she was really ready for it. Saying that I know that Big Boy is ready for School, I'm just not ready for him to leave me during the day! If I don't think about them both going to School then maybe it won't be happening quite so soon. Still I know that I have to kit them out with all the things they need for School; School Uniform, School Shoes, School Bag, Lunch Box, Coat, Rain Coat and a PE Kit amongst other things and I know that we need more than one pair of trousers and more than one jumper and several polo shirts as Big Boy can rarely keep clean for a few minutes let alone a whole day and I'm not sure that I'll be ready to do a do a couple of loads of washing every night. Matalan asked if I would like to review some School Uniform for Top Ender and Big Boy, so after a good look around the website I ordered a rather long list of items from the School Uniform section and waited for delivery. A few days later and the package arrived and the children had great fun looking through to see what had been ordered. I can't really review how hard wearing the clothes are, because other than for this picture the Children haven't worn them and I haven't washed them yet as like I said I'm trying to pretend that the children won't be going back to School quite so soon. I can say that they appear to be good quality clothes and are a good price, because I can compare them to other School uniform items that I have brought in the past. As soon as the children have worn the clothes for longer than five minutes I'll make sure to post an update to this post! By the way I'm refusing to look at this picture as my children are growing up far too fast and I'm not sure I like it. Matalan sent me the items free of charge to review. If you had read my meal plans for the week you might have been a little confused when reading on Twitter that last night we all had Spicy Sausage Rice for our evening meal as that is what we were supposed to be having for lunch today. Then again, like my Mum you probably didn't read the blog post about what we were eating or see my Twitter stream last night and wonder what the heck I am going on about. Like an idiot I forgot to defrost the beef for last nights dinner, so I decided to bring forward the Morrisons M Savers meal I was creating forward a day. Walking around the supermarket yesterday afternoon gave me no inspiration so I had the idea of swapping the meals around. Serve Spicy Sausage Rice for dinner to the family on Monday, have the Morrisons M Savers meal for lunch. It was a perfect solution and so I set off to buy the things we would need. As you can see I didn't need a lot. I also brought some Morrisons Savers Juice at £1.00 but that's for another blog post! In case you hadn't guessed, it was Baguette Pizza for lunch today and Top Ender and Big Boy loved making them. They are dead simple to make and really quite cheap too, and having looked round the shop at the different food items that are in the M Savers range there were a lot of meals I could have made. So how to make the baguette pizzas. Take the two baguettes out of the packet, cut them in half length ways and then spread some of the chopped tomatoes across the cut sides of the bread, before sprinkling with grated cheddar. At this point you can add whatever toppings you want, I had brought Pineapple for Tops to add, but she decided to skip it this time and just have a plain cheese pizza. They cooked really lovely, (Gas mark six for 15 minutes) and the Garlic Bread had been in the oven for a few minutes before I added the Baguette Pizzas so they were all ready at the same time. We ate them sitting on the floor in the living room, where we all had a good giggle and congratulated each other on how well we had cooked our lunch. They got eaten rather quickly and I think that they were by far the best lunch we've had for a while! What do you think? Would you use the M Savers range or do you prefer to use name brands? I was sent a voucher to buy the ingredients and I also brought some garden tea light holders with the voucher. Am I going to blogger hell?. We're still looking at lunches that would be good for School and help Big Boy keep on an even level in the afternoon. I think that the less the teachers have to worry about hypos the better and that will mostly be up to me giving good lunches and having good lines of communication with the teachers. Both Tops and Big Boy love Sausage Rolls and with a little pot of ketchup I know that Big Boy will be loving his lunch. I'll serve it with some Cucumber sticks and I'm going to sneak in some thin strips of Celery and hope that Tops and BB don't notice! I'm going to serve it with Cake as a pudding because BB deserves a proper treat. Last week we had dips and veggies for lunch, we also had some new Warburtons Baked Naan Chips delivered that we dipped too. The Children loved them and I think that we have to have them again, but without the dip! This week for lunch we are going to have them with a Savoury Sausage Rice lunch, with added peas and sweetcorn. I'm going to make it very mildly spicy as I think it would compliment the naan chips and that means I'm most excited about this lunch! Wednesday - Out For Lunch! I'm taking my Mum to the hospital for a check up and so Daddy is going to be in charge and have a fun morning with the children and of course gets to serve lunch! He has said that he has no ideas of what he might fancy or he might want to serve, so I'm going to have a few sandwich fillings in the fridge ready just in case (ham and cheese are the most popular choices) and of course the store cupboard is full of Pasta, Beans and other staples that I know they all like. Another fab lunch, this week inspired by our time at the farm and including some rather lovely Fruit Smoothies thanks to Aldi, who have sent me a voucher to buy lots of ingredients for lots of different flavours of smoothie! 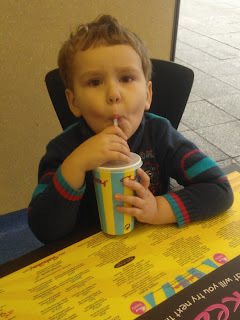 I hoping that I can get Big Boy drinking some different Smoothies so I can include them in his lunch box over the next few terms as I think that Squash, Milk and Water can get a little boring. So there you go, a week of lunches and possibly only one Sandwich! I made Fish Cakes out of Red Salmon, Tuna and a load of vegetables so I think that dinner tonight will be very healthy and quick to make! As I'm out all day, it's perfect for Daddy to make as all he has to do is throw it all in the oven and he can carry on having lots of fun with the children, playing on the Wii and possibly stalking my Twitter Stream to find out what I am up to. Having the Roast Chicken back last Sunday was PERFECT. The roast was lovely and I always think it tastes better after not having had Chicken for a few weeks. We're back on to Chicken again though and this week I'm serving it with Home Made Gravy, Home Grown Potatoes, Some Veg and Stuffing as normal. I'm going to put a little Rosemary in with the Chicken and a tiny bit of Lemon too. I can't believe I haven't made this since January when I found it in my new Slow Cooker cook book! I'm going to make it with rice instead of noodles as I'm starting to miss egg noodles and I don't think it's fair for Daddy not to have them when everyone else does. That is of course unless I can somehow find some Thick Rice Noodles or Flat Rice Noodles before Monday. Morrisons released some research that over the Summer Holidays parents will go into debt and to combat that they came up with some ideas for low cost activities, meals and put it all together on their Savers Summer website. Anyway they challenged me to come up with a meal using their savers range or I could use recipe cards (like I did when we had the Pork Chops with Roasted Pears) but I've decided to make something... I just don't know what yet! I'm going to take a look around the store and work out what to buy that suits all our dietary requirements! I think this is one of the best meals, everyone loves sausages and mash (well actually Top Ender isn't keen on mash, but you know everyone else likes mash) and served with onion gravy just makes it seem a little more grown up and sophisticated. I could serve it with beans if we didn't mind the gravy and bean juice mixing, or with peas but I'm going to serve it with Cabbage! I'm going to mash some parsnips in to the mash for extra flavour and add some chives for a bit of colour too. You know when you are looking through pinterest and you see a recipe and you pin it thinking, this would make a great meal and then you go back a few weeks later and can't find it? Well that's what I did for this meal. The idea is to cook pasta (like penne) and layer it in a dish before adding a layer of tomato and then a layer of mince and top with white sauce and cheese. It makes a pasta bake/lasagne that looks fab and I think that my lasagne loving family will love it. We used to eat Sweet and Sour Chicken fairly often, it was one of Daddy's favourite meals and I often think it's a good Friday night meal because it's so simple to cook. I used to use jars to make the sauce, but it's so simple to make a Sweet and Sour Sauce and I want to try and reduce the sugar in the meal so I'm making my own. I use cornflour, pineapple juice, garlic cloves, ginger, dark soy sauce, white wine vinegar, brown sugar, tomato ketchup, dried chilli flakes and freshly ground black pepper. I'll add some chunks of pineapple, some small pieces of peppers and some onion too to increase the amount of fruit and veggies in the meal! So are you planning anything similar this week or do you hold the secret to making the perfect roast? Let me know in the comments! I keep being asked how I knew that there was something wrong with Big Boy and it's taken me a while to write it down because at first it seemed like I just knew, it was my natural Mother's instinct but it wasn't. There were a lot of signs and it was only because of my own upbringing that I knew one of these signs added up to something else and looking back now there were plenty more signals that we should have noticed. So first a little background. I never really thought of Diabetes as being something bad to have. My Mum had Type 1 Diabetes since before I can remember and as far as I could tell she had what she wanted to eat when she wanted and even the boy in my class who had Type 1 was fine and only once I saw him get to eat a small snack sized chocolate bar whilst everyone else got changed after PE. My Mum got my sister and I to learn how to give her injections and we were often given finger prick blood tests because we were curious about what my Mum was doing but that was about it. I mean sure we knew that a part of my Mum didn't work and that she wasn't allowed to eat sugar but that was about it. As I grew older, apart from the occasional "Did you remember your injection" comment when we were going out to eat or my Mum was coming round my house for a meal I didn't think about it. And now forward in time from then, but back to a couple of months before Big Boy was diagnosed. So Big Boy was (and is) a perfectly normal not long ago turned Four year old. He loved sweets and doughnuts, he loved to run about and had been potty trained for quite a while. Just like me Big Boy loved to drink juice and water and we would both always have a bottle of water on the go. Like most growing boys he was also always hungry. A typical day would see him having a Brioche, then Porridge, then a slice of toast, then some fruit and then lunch and more fruit maybe a packet of crisps, an after school snack followed by dinner, sometimes some pudding and then if he was still hungry maybe a little supper. We thought that maybe it was in relation to a growth spurt, just like Top Ender had at the same age and Big Boy was changing shape, losing the chubbiness of Toddler-hood and becoming all tall and lean like a Schoolboy. Then he started wetting the bed. We figured it was because Big Boy was drinking too much too late in the day and so we reduced the amount he drank. We had tears and arguments because he would claim he was still really thirsty despite having drunk all that we had allocated and even with wake ups during the night we were having to change the bed sheets several times a night. BB was also turning into a teenager, a little early granted, but the moods he got were terrible and just like the ones I had as a teenager. He would often flounce off upstairs muttering to himself about how unfair either Daddy or I was and after calming down would come back to us, apologise and everything would be okay again. Or then there were the times where he would get overly emotional and everything and anything could reduce him to tears. We had also turned the corner with early mornings. Daddy and I remembered before Big Boy was born Top Ender had started sleeping later in the mornings and we were really looking forward to when Big Boy would too and finally right around his birthday it happened. How we loved those late mornings, we'd been waiting four years for them to happen again! The constant drinking of juice and water, was his body trying to flush out the sugar build up in his system. The constant eating was because his body was trying to get the energy it needed and couldn't process. The bed wetting was his body getting rid of the sugar in his system. The bad moods and high running emotions were because of the high blood sugars he was experiencing. The late mornings were because he had no energy. I had taken Big Boy to the Doctors the first time (with a urine sample) because I thought he might have a bladder infection and that was why he was wetting the bed. The Doctor did a dip test and found his sugars to be excessively high and sent us to the hospital for further testing, however a couple of hours later and his sugars were normal so we were sent home. The second time Daddy took a urine sample in to the Doctors have a dipstick test because there had been a smell of sweetness about BB when he had been to the toilet. This was the only sign I picked up on, the smell of ketones in Urine is one I remember from my childhood and I knew it was wrong. I didn't want to take BB to the Doctors though, because I didn't want to believe it. We were lucky. We caught BB's diabetes before he started suffering from Diabetic Ketoacidosis. If we hadn't realised that the sweet smelling urine was a sign we might have just carried on as before until BB's body couldn't take it any more and he ended up in a coma. It's unusual to die from Diabetic Ketoacidosis, but it does happen because the onset is so quick and it's something that Big Boy will always have to be wary of. So there you have it. We found out that Big Boy was a diabetic because of the smell of his urine, but there were other signs there that we missed. I hope that by you reading this blog post it will mean that another family will be aware of the signs and that if needs be they can take action as quickly as we did. "Why hasn't my wish come true? I wish it all the time." I know exactly what wish he means as I was there the first night he made it. We were laying in his bed the weekend after he was diagnosed as being a Type 1 Diabetic, when giving him his injections was still an Aerobic workout and he made the wish (it ended with Amen as he still gets prayers and wishes confused) that he didn't have to have any more injections. It broke my heart then too because I know that unless a cure is found (which it very well might be there is a lot of research in the area that is moving forward) he will be injecting himself for the rest of his life. The magic of youth is slowly fading for BB, he no longer sees his favourite Cartoon Characters as real but as people in costumes, he knows that not all of his wishes come true and I'm dreading when he realises that other magic in the world isn't as real as I would have it be. I don't know what to do, how can I tell him that only some wishes come true? I'm back from the gym and I'm sitting down to eat my breakfast. Actually, that isn't true. I'm not sitting down to eat my breakfast I'm sitting down to drink my breakfast as I've made myself a Fruit Smoothie. I made one on Sunday after using Google to read a lot of different recipes as inspiration and I was surprised at how easy they are to make and this is how I made it! Add Ingredients to the blender. Blend. Serve. The Baobab powder has been sent to me because it is being hailed as the new Superfruit and I must admit it sounds impressive. According to the press release it has more antioxidants than gojiberries, Six times more vitamin C than oranges, Six times more antioxidants than blueberries, Twice as much calcium than milk, Six times more potassium than bananas, More iron than red meat and More dietary fibre than other fruits including apples, peaches, apricots and bananas. I think it's a good supplement to add to Smoothies and other things (I'm not doing much baking at the minute because of BB's diabetes and trying to understand all that before adding in the complication of my home baking) and from other mentions I've read on the internet you need to cook the items for less time than the recipe states. Daddy was a little shocked when he looked up the price of a tub of Baobab powder on the Holland and Barrett website, and I understand that at £14.80 for 250g it's not something that we can easily add to the budget but if it lives up to is promises then I'm sure that the Minvita Baobab Superfruit Powder will become a popular purchase! I was sent a tub of Baobab Superfruit Powder to review. If you've been following Pippa World then you'll know that I've been going to the gym every morning and working hard in order to lose weight and to start living a healthier life. Part of this has been looking at the different food choices I can make and what exchanges I can make for better nutrition value. I was rather excited when I read about Blue Diamond Almond Milk which is a low-calorie milk alternative and was excited to be given some to try out too. I really liked the taste of the Almond Milk, both the unsweetened kind and the original kind and it reminded me of when Top Ender started having reactions to dairy, (when she was about three years old) as I could have happily swapped to this then. 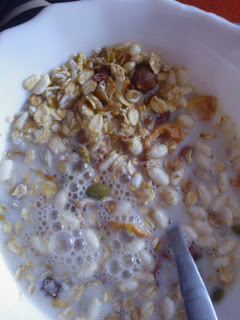 The children were rather less keen to try the milk and so I had to find ways of sneakily giving it to them, this has mainly involved putting it in Puddings, Omelettes and making a side dish of Rice cooked in the Almond milk instead of Coconut Milk. I love eating the Almond Milk on Muesli and in Porridge as it adds an extra taste dimension and I've found it a lot creamier and tastier than other milk alternatives and as it is gluten free, egg free, dairy free and lactose free it means that everyone in our house can drink it, which makes a nice change! The milk is really popular in the USA, because of it's taste and health benefits and I think that it will become as popular here in the UK for the same reasons. You can buy the milk in both Tesco and Waitrose and the RRP is £1.40. 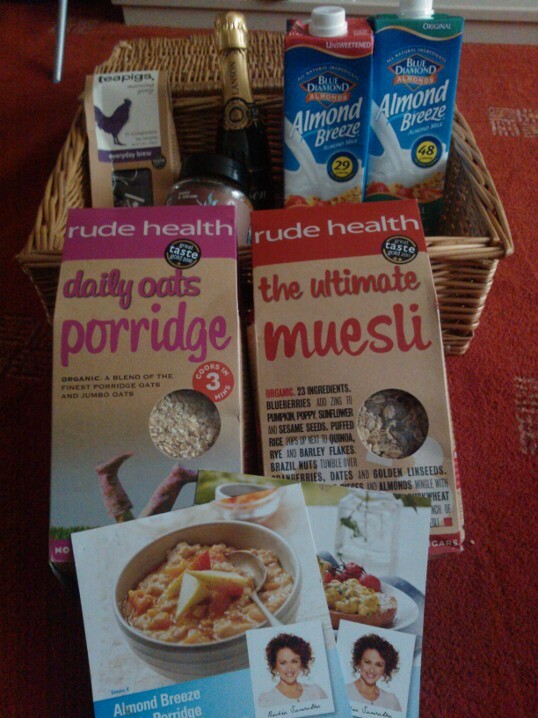 I was sent a Breakfast Hamper to review the Almond Milk. For months now, it seems that Daddy and I have been hiding a huge secret from Top Ender and Big Boy. The secret was of course that we were going to be going to France for a mini break and that we were going to be going to Disneyland for the day whilst we were there. Everyone apart from Top Ender and Big Boy knew and there were several close moments where I felt for sure that someone would accidentally let the secret slip, but in the end we were able to get almost to border control before Top Ender realised that we weren't on any ordinary day trip. 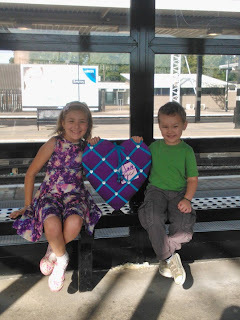 The children were thrilled to be staying overnight in a hotel and the next morning we set off on the Metro, the children unaware that we were on our way to Disneyland. I think we could have probably walked all the way up to the gates of Disneyland without the children realising where we were, but Daddy and I were getting rather anxious for the excitement to begin and so as soon as we were out of the train station we were pointing out some pretty obvious clues to them. I managed to catch it on video, so take a look! It was a great trip, we loved the time that we spent together and we took some great pictures, which I've shared over on my Facebook page (The photos are here) and we made some really great memories that I'm sure I'll be sharing over the next few weeks. For now though I'll leave you with a picture of us on the teacups having lots of fun! Lunch is starting to be a bit of a battle here, Big Boy is determined that everyday he should have access to chips and Top Ender is determined that everyday should be a pasta day. Whilst I understand that they have their favourite foods and want to stick to them, I want to increase the different foods they eat and so I'm being rather strict about what they can eat and when (also because of BB's diabetes). This is leading to more arguments but I'm slowly getting through to them that they have to eat a wide selection of foods and fruits and vegetables to be healthy. Salmon filled Pitta breads are one of my favourite lunches and as Salmon is an oily fish, it helps with reducing the risk of death from heart disease. Also it's tasty! I don't think you can beat a nice Chicken Sandwich, and as I have some cookie cutters that I've been dying to use we'll have some nice fun shape chicken sandwiches! I'm hoping to give the children a selection of different vegetables and dips in their lunch boxes when they go back to school. Big Boy quite likes Hummus, but Top Ender says that she doesn't and Top Ender likes Pesto but Big Boy says that he doesn't. A quick selection of different dips with different vegetables and some bread sticks and I'll find out once and for all which dips the children will or won't eat. Big Boy is a big fan of the pre-packaged crackers and ham and cheese lunch packs that you can buy, but I'm trying to teach him that Mummy makes better versions. I think he is starting to come round! We're going to get our school shoes tomorrow, so the Friday lunch is going to be either cheese or shoe themed! I will try and remember to post a picture of it this week over on Facebook, so keep an eye out! I'm also trying to make my lunch planner sheet look a bit prettier so I can share that with you, as it really helps to get a variety of foods into a weeks lunches! It's a great week for food in our house his week. I'm trying really hard to keep everyone happy whilst keeping the budget low and of course making everything healthy, gluten free, suitable for diabetics and as of this week trying to exclude milk as it appears that Top Ender is reacting badly to milk again. I know it's great right? Still, at least it should help my budget if I'm excluding so much! I love looking on Pinterest at the different pins of different foods and when I saw Bacon Wrapped Cheese Filled Hot Dogs I knew that this was going to be a meal this week. I pretty much guessed how to make them, but the post at Barbara Bakes fully explains and they are so simple that I can't wait until tonight to eat them! It's been a while since we've had a good roast Chicken so it's time for it to make a comeback. The Chicken that we had on Friday was a bit dry so I really want to make a proper roast, with roast potatoes (with potatoes grown in our own garden), veggies, gravy and no yorkshire puddings as we have to keep the carbs low if Big Boy is going to have a doughnut for his pudding. We all love spaghetti and bolognese is so easy to make in the slow cooker that the children can make this without my help (okay so they will have my help, but you know what I mean!). As we are trying to keep the carbs low I won't have the spaghetti (I'll have Salad instead) and we won't be serving garlic bread either. The good thing is that not having Garlic bread means there is a lot less calories! We need more pizza in our life. No, really we do. I'll get Daddy to make the pizzas as he always makes them nicer than me. Actually I just figured that he could make the dinner tonight as I found out that my Father In Law made dinner for his wife on Saturday! Daddy requested that we have mince and onions for dinner as we've not had it for a while, that's mostly because the weather is rainy and cold and how I think that it should be for mince and onions, but still I want the family to be happy so they get what they want. The jacket potatoes tonight have been grown by Daddy and he is rather proud of himself so we are going to make a big fuss of him when we eat dinner tonight. And unlike last week I'll remember to make sure we have enough butter to serve everyone and not just the children. Big Boy is a big fan of little cocktail sausages and as Marks and Spencer sell Gluten free ones, it would be rude of me not to buy them. So I'm going to make Sticky Sausages and serve with some oven baked lightly spiced wedges and BBQ Beans and this should please everyone! So there you are, a week of meals for my family. We are slowly getting used to making meals that are good for BB and me and Tops and Daddy but we will get there. You might remember me from such blogs as this one and Pippa World and from my Twitter stream and various other places. Dancing lifts... you remember me from there right? Well, anyway I've been missing in action for a bit and my poor little blog is being neglected. Mainly because it's the Summer Holiday and I've been chilling with Tops and BB, partly because I've been at the gym in the evenings and not sitting on the sofa and also a little bit because I've lost my mojo (again. yeah it's an annual event lol). I'm sitting down now though and I'm going to write down everything that's been going on, and things that we've seen and places that we've been and all the usual ramblings that you've come to expect from me... maybe I should make it sound more exciting! Oh, well too late now. I didn't do a post for lunch last week as we were only going to be here for two lunches, I wish I had though as I kept wondering what to do for lunch and didn't have anything to refer to! This week I have some great ideas and plans... I just hope they work out! I eat a lot of Salad because I think it's tasty, but Big Boy and Tops aren't keen on Salad. I've been trying to get them to try little bits and as there is always a salad in the fridge (and on the table for evening meals) I'm hoping that the more they see me and Daddy eat the salad, the more they will want to eat it themselves. So far it's kind of working, but I thought a nice pretty rice salad for lunch might be just the way to speed it up! Just imagine this veggie rice and Chicken with a bit of Salad! Thanks to Coke, Daddy and I are off to the Olympics today. We are both really excited and because my Mum has very kindly agreed to look after Tops and Big Boy I have tried to help her out by planning to make a Bento for the children's lunch so all she has to do is get the boxes out of the fridge. Of course one of the biggest symbols on the Olympics is the Olympic rings, so there will be some rings, some medals and some tributes to some of our favourite sporting heroes! With us now understanding more about BB's diabetes, we have to make sure that his blood sugar stays in the perfect range (between 4mmol/L and 8mmol/L), obviously sometimes it gets lower and we have to react to that, or higher and we have to react to that too but we are working out ways of helping BB to keep his levels stable. A nice ham sandwich should help us keep it level. I love shaping boiled eggs, they are much more fun when they aren't the normal oval shape. I have a few egg moulds that I can use and the children can decide between and I know a few "cheat" steps to make other shapes for a couple of fun surprises too. I've had an idea for the future regarding eggs after having a rather odd thought whilst at the gym, so hopefully I'm going to have a great egg based meal next week! We are trying to get Big Boy ready for School and so we are having packed lunches and our special Friday lunches are still as special as they were during term time! Today is a special lunch that I am sure will make an appearance during the School year, if not during the first term! So lots of ideas for lunches this week, some new favourites, some old favourites and some that I'm hoping the more we eat the more that Big Boy and Top Ender will like as they really are good for them! I was talking with Daddy about the meals we had planned for this week, as I couldn't think of something suitable to eat on Saturday night and Daddy asked what I would like to eat. It made me laugh because whilst I do take into consideration what everyone else likes to eat, when it comes down to it the meals that we are having for dinner each night are ultimately what I want to cook and eat. Saying that, the one thing that I really love is Fish, in particular Cold Smoked Mackerel served with some fresh baked bread and if I'm really lucky some Prawn Salad to go with it, so I decided that we should have a favourite night. I've gone for a favourite night so that everyone has what they want. Daddy is having a take away Kebab, Top Ender is undecided between Toad in the hole and some Take Away Fried Chicken, Big Boy wants anything as long as it comes with Chips or has a Sausage and I'm going for Smoked Mackerel. When I went up to meet with the lovely ladies at Fish Is The Dish we were shown how to make a quick smoked Mackerel pate and despite loving it I haven't made it since, so I will make one fillet into pate and eat the other fillet whilst I'm making it! I've been talking with Morrisons recently (hint I'm going to be cooking and coming up with a new recipe again) and when I was talking with Elise she sent me a few of the Savers recipes. I read about Pork Chops with Roasted Pears and knew it had to be my Sunday lunch. So that's what we have today and if you click that link you'll get the recipe too! I have a thing about Prawns at the minute, and seeing as the batter on Friday last week on the Battered Lemon Chicken was such as success I figured I would attempt it again! I'm serving it with Rice Noodles as I get bored of eating rice, but I do like noodles. I'm off to the Olympics with Daddy, leaving my Mum at home with the children... as she is going to have enough of a struggle with getting BB to have his injections at the right times etc I figure that the least I can do is prepare something in advance that everyone will like to eat. So I have Lasagne for Top Ender and Big Boy and my Mum quite likes the Tesco Finest Beef Chianti With Rosemary Potatoes, so I'll buy that for her! I'm thinking jacket potatoes with cheese and finely chopped onion are a great way to get a Wednesday evening started. I might even do little mice potatoes again. I have some quick fry Beef Steak in the freezer, and I think quick frying it with some peppers and mushrooms, spinach (or maybe carrots) with Pesto will taste lovely mixed with some Pasta. I'm kind of making this up off the top of my head, but I think that some Chicken Breasts baked in the oven in Chopped Tomatoes and their juice, with a little bit of gently fried onion, some mushrooms and spinach all covered with some grated mozzarella cheese over the top and then served on a bed of rice would be quite nice. So that's what I'm doing! So there you have what we are eating this week. What is the meal you would have on favourite night? I'm running out of ideas and I'm not quite ready to go back to our normal meal plans as I want to make sure I understand portion sizes before reverting back to my old ways. Last Saturday I said that for dinner tonight we were going to have Battered Lemon Chicken, following a recipe on the Disney's Family website. As I was making it I had to adapt it a little because it really wasn't working and so I thought I would post my adapted version here this evening. The method is almost exactly the same as the recipe I was following. Cut the chicken into bite sized pieces and marinate in the soy sauce. Whilst the chicken is marinating in a small saucepan put in all the sauce ingredients and whisk over a medium heat (high heat will make your fingers burn) until it starts to thicken and froth up. Reduce the heat to low and stir every once in a while to keep it liquidy rather than turning into a jelly. Heat some oil in a frying pan (don't use a wok, it needs to be a heavy pan) and put your oven on to gas mark 2. Mix together the egg yolks and cornflour (it turned my cornflour into yellow cornflour) and add the water when the yolk and flour is well mixed. This should be a thick batter which you can then pour onto the chicken and give a good stir to make sure that everything is covered well. Fry the chicken in the frying pan in batches, it cooks quite quickly and to keep it warm I transferred it to a tray and put in the oven. Drizzle the lemon sauce over the chicken and serve. 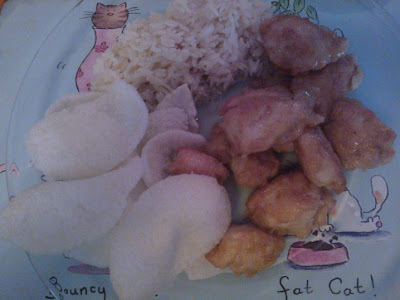 I served the chicken with prawn crackers and plain white rice. Tops, Daddy and I all had the lemon sauce but BB just had Chinese Chicken Nuggets! This was one of the best meals I had cooked in quite a while, as everybody ate all of it!